This blog represents only my opinions and my personal experiences, and in no way intended to provide medical advice. Please consult with your doctor before making any chances to your health care regimen. I do not control or own the capability for ads to appear on this blog, which is hosted by Wordpess.com. I do not earn anything, and do not collect information from these ads. Wordpress.com provides blog sites to users for free, and therefore covers costs via ads. If you saw an inappropriate ad, please report it to support@wordpress.com. ©Therapink and Therapink.wordpress.com, 2013, 2014, 2015, 2016. Unauthorized use and/or duplication of this material without express and written permission from this blog’s author and/or owner is strictly prohibited. Excerpts of 100 words or less and links may be used, provided that full and clear credit is given to TheraPink and Therapink.wordpress.com with appropriate and specific direction to the original content. I have entered a new phase of CF bad-assery. CF has declared war on me and is trying to drag me down to a very low level of lung and body functioning. So let’s just say that I am now in The Big Fight. I spent all of February and March sick, trying to fight the infections that I can (MRSA) at home. I waited too long and the bugs that I cannot treat at home* with oral antibiotics went crazy. My body was overcome with inflammation. I had a doctor appointment and lung function tests. My lungs are operating at 30%. If I was interested in a transplant, this is the time docs start approaching the topic. But for a number of reasons, I am not a good candidate (not everyone is), Which in a way, is good because there are not enough organs to go around. Of course, if people increased the amount of organs available in the national organ donation database, this wouldn’t be a problem for those who need it, but for me, I knew that I would not be a good candidate. So that’s off the table. Thirty percent – if I stayed at this level – is considered “end stage”. But you can live at end stage for a long time. Kind of weird to think about. I entered the hospital with inflammation levels (measured by a marker called C-Reactive Protein) at 238. Normal is 1.0-3.0. I was on 4.0 liters of Oxygen. The Carbon Dioxide in my blood is 66, out of a normal 40ish range. I began a 14-day course of 3 IV antibiotics, around the clock. I ended up with a kidney injury due to the toxicity of some of the meds, so I had to go on extra IV fluids because no human could have drank enough. I endured a lot of pokes and sticks and have the battle wounds to share. But I had a lot of love from my husband, cats, family and friends to get me through the moments the tears fell. It made the drudgery of daily work manageable. I spent so much time and energy doing airway clearance and exercise – 3 hours of vest, an our of a machine my clinic is trialing, an hour (over course of the day) using a handheld blowing device called the Aerobika, walking 1500-3,000 steps a day (starting around day 6), and doing pilates each day. Plus trying to eat and sleep, despite 5 am blood tests and 11pm vital sign checks. And there was no time to nap unless I begged for an hour or two of no interruptions, but every other department (besides nursing and the doctors) decided that request didn’t affect them. At day 10, they retested my lung function and it had only improved to 33%. Granted, I always continue to improve after leaving the hospital, but this was not encouraging. I left the hospital on day 15, kidneys still irritated, on 3 liters of oxygen, and feeling like this body of mine is not mine. Coming home was daunting. I knew I had fallen health-wise, but this time was so different. Everything is much slower. Let me say that I am recovering, but I have a lot deeper of a hole to climb out of, have to take many more breaks, and sometimes have to ride out a plateau every few ascents. I am making changes and setting daily goals and have to commit to a walking regimen to keep me as strong as possible, endurance-wise. Keeping up meds, fluids, airway clearance, and a good place for my mind to rest. Demanding that negative energy not affect me. Stress and bad energy is so damaging to the mind, heart, body and soul. No more do I give permission for others’ emotions to attach to me. So… how much is this from a single exacerbation and how much is progression? There’s no way to tell, it’s a combination of both. I try not to blame myself for waiting a couple of weeks too long, because that does nothing positive for me. It is hard when everything to me seems like a gradual change, especially when your body and your mind or not in the shape they need to be to look at things objectively. But I have learned a lesson in recognizing my limitations sooner. This requires me to lean more on Ken and my doctors and notify them of changes that I might deem as small, as “little losses” might not be so little in impact. Since transplant is not an option, and they treated my infections that were active, and I’ve tried a lot of the other treatments out there without much improvement, pretty much all that’s left for the my doctor to try is to put me on the brand new CF drug, Symdeko. Like its cousin Orkambi, which I took two and half years ago and had a hard time managing due to side effects and medication interactions, it attempts to fix the defect or the mutation in the way that my cells process salt and water. There may be a period of adjustment as the mucus thins and my body goes through a “purge”, a period of time where the existing mucus thins out and comes out in large quantities. This can be traumatizing because it mimics the signs of an infection, it’s physically draining, and there are also side effects that may or may not show up. Remember my last post, when I was so full of hope and excitement that if I can get myself as fit as I can, my life could change. In my head, I had visions of hiking, doing normal household stuff and running errands, going out socially for more than 40 minutes, and even feeling well enough to go on a vacation (it has been 11years…we have planned so many trips that we had to cancel because I had to go into the hospital or was close to it). Then I got sick. Too sick to start working out. MRSA sick with constant fevers, cough, sinus issues, and fatigue. Oh and the Flu. I took the Tamiflu and also started antibiotics. By the end of week 2 on antibiotics, I told the doctor I wasn’t feeling quite better and that probably I needed another week. I finished week 3, and felt marginally better. Stronger. And as fate worked out, the weather was warming up enough to use my treadmill in the basement (it is not heated). Three days after finishing the antibiotics, I started coughing, but figured that it was just left over stuff from the recent infection. After another three days, I suddenly began coughing uncontrollably, felt my fever coming on, was feeling very junky in my lungs, and I knew that my MRSA was ramping up again. I spoke to my doctors on Monday, who put me on a different antibiotic, and tonight – 24 hours later, laying on the couch unable to sleep, coughing which sounds like a pipe has burst, and having to wear my oxygen (which is a huge bummer because it had been weeks since I needed it more than a few hours at a time). In the meantime, several members of my family have had their own issues to deal with, and I find myself having difficulty keeping my head above water. I am tired of being sick. I’m tired of coughing. I’m tired of fevers ravaging my body with aches. I’m tired of having to judge whether doing a little laundry is going to force me to nap for three hours later That day or have to rest the entire day tomorrow. I’m sorry that this is not a positive sounding post, but it’s almost midnight, I feel too awful to sleep, and my mind is racing with all the things that I am probably never going to get to do. Thanks I’ve been trying to do for years, thinks that any 46-year-old should be able to do. I’m sorry that this is not a positive sounding post, but it’s almost midnight, I feel too awful to sleep, and my mind is racing with all the things that I am probably never going to get to do. Things that I’ve been trying to do for years, things that any 46-year-old woman should be able to do. The cliché about having your health being everything, is so damn accurate that it hurts. 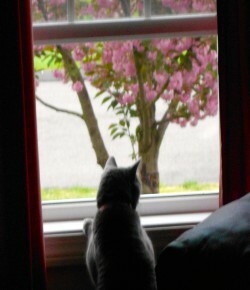 And what makes it worse is that I am watching the world go by. Outside, kids are playing and people are walking their dogs. The movies and TV shows I watch because I’ve read everything that I have and honestly cannot concentrate on anything else at this point – keep telling me where to go for vacation, parties I should be attending every weekend, planning for summer, etc., On Facebook, and in articles, I get to read about life as a parent, exotic places to travel to, and the cool/ fun/ amazing adventure others are experiencing. I feel like there really isn’t much more to look forward to, when every time I try to plan something, whether it’s to go to the store myself, to work out, or to do something big like visiting my in-laws, my health blocks me from having a life. It’s been two years since I ended my three-month stint on the then-new CF drug targeted at my particular mutation(s). If you recall, I had a lot of side effects and medication interactions that forced me to call a cease fire. I lost a lot of lung function during that time, and have not yet been able to get back to where I was, prior to the medication. Now, it could have been coincidence. I could still have had the series of CF lung exacerbations and hospitalizations had I not taken the medication. I might still have ended up needing Oxygen at home after one particular infection flare-up, and still need it when I am sick. I might still have lost a lot of strength during those hospitalizations. And certainly, it had nothing to do with having Sepsis a year ago. All of that, plus my existing CF complications, have driven my overall strength, stamina and unfortunately, my willpower, to an all-time low. I have decided, however, that I am not giving in. Strength and energy have lost in this war. Now it’s time to go to battle to regain what I have lost. It’s time to reclaim myself. I was never an athelete, but I had strong lower body muscles from dancing in high school, going through ACL reconstrtion rehabilitation, and doing Pilates for the past 20 years. I very suddenly lost my calves of steel during a September 2016 hospitalization, and my overall muscle tone disappeared. So I have decided the one thing I can do that can help support my body and improve my energy and strength is a solid commitment to fitness. I used to be a gym rat, but too-frequent infections, symptoms – pain and nausea – from chronic pancreatitis, and side effects from several medications, have collectively rendered my gym membership useless. So I’m starting from scratch. It all starts with walking. I need to build up my cardiovascular system to get help my lungs and strengthen my legs. I will then return to light-to-moderate weight training to increase my overall muscle mass and give me that strength boost hat I currently lack. And then move onto hiking outside. Maybe on the flats, but getting my groove on – outside in the Vitamin D and fresh air – will be amazing. Yeah, I’m sure I’ve written about this stuff before, but I feel that so many of my systems can benefit from this new commitment. I have to do this. So I got out my whiteboard and started writing down all the possible benefits. Better moods. Helping my depression and anxiety. Strength to carry me when my lungs are working harder when sick. Conditioning. Keeping my heart pumping efficiently. Lung clearance. Nothing like a good cough to get that junk out! Digestive support. Keeping things moving. Energy to live. Housework, socializing, driving. Holidays. Confidence. I’m tired of being weak and on the sidelines, feeling unworthy to contribute. I am going public with my plan for accountability. I may not move mountains, but at least I will be able to climb a few hills. And to me, right now, that can make all the difference in the world. Tomorrow, Tuesday, my doctors are admitting me for severe lung infections due to my cystic fibrosis. Interestingly, it has been eight months since my last admission. I have been taking oral antibiotics to treat my MRSA infections, but after three months and several courses of these antibiotics, my lung function continues to drop and I continue to be actively sick. Aside from the MRSA, I have a handful of other bacterial strains that often Colonize CF lungs. What stinks is that every time I go on antibiotics, I would start to feel a bit better, but within a week of finishing my 2 to 3 week course, I get sick again. I have to say it’s really hard to know when to wave the white flag and admit to my doctors that yes, I do need their intervention. I will get a PICC line IV (long term, semi permanent) inserted into my arm or chest, which allows medication to go into my bigger veins were they won’t irritate the smaller veins closer to the surface. The PICC line is usually a double lumen kind, which means that there are two tubes entering my vein so that I can have two medications or fluids running at the same time. I will likely be taking a cocktail of three IV antibiotics, each with their own schedule. Considering one of my medications runs for 12 hours a day, there are two other medications that have to run on their own schedules, and I usually receive IV fluids 24 hours a day to protect my kidneys, both IV lines are close to constantly being used. Hence is the typical process of the 2 to 3 week hospitalization for a CF lung exacerbation. It’s uncomfortable on so many levels, it can be painful, I get a lot of undesirable side effects, and I become sleepless and invariably stressed out. I feel bad for my nurses and my physician team because I get very emotional when I’m inpatient. Depression and anxiety make things worse, as it does for many CF patients. Imagine being stuck in a 10 x 10 room, being allowed to leave the room only when scheduled for a test, having to eat, sleep, and do everything else from a lumpy bed in a tiny room with a window that often faces a bleak city scape. Oh, and going no longer than 10-20 minutes without someone walking into my room. Despite all of the things I can and often do go wrong, however, I know that I am going inpatient to get better and to slow down the progression of the past few months. I am to the point where even getting up to shower by myself is a huge challenge, let alone being able to do do anything like cooking or cleaning or the basic stuff that people do when they live their lives. So for the next few weeks, I will be doing everything in my power to stay calm and sane. I still have this option in my arsenal, so I am thankful. Not ready to think ahead to a point when no more antibiotics work for my bugs. Until then, I continue to fight. Since my hospitalization, I have been trying to build back my strength and energy after three weeks fighting sevral strains of pneumonia, MRSA, and sepsis. Not only did I lose a lot of weight but I also lost muscle, so I was exceptionally weak. I have also been battling some major stomach and a sinus disease, so it really hasn’t been a fun time, so to speak. That’s one of the hardest parts about having CF, is the fact that it can affect so many different parts of your body, especially as you age. Decades of taking life-saving medications can cause problems that were never considered because there was very little chance of patients living into adulthood long enough to have these problems. 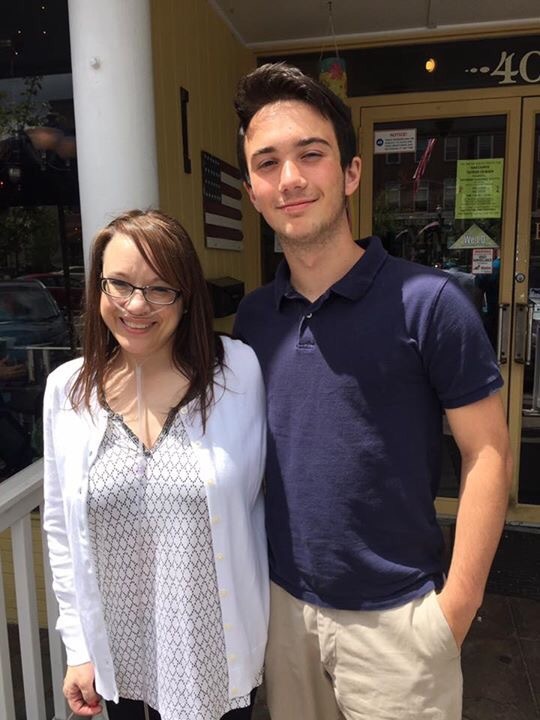 I did get to have a fun day visiting with my family when I attended a graduation party for my niece and my nephew. 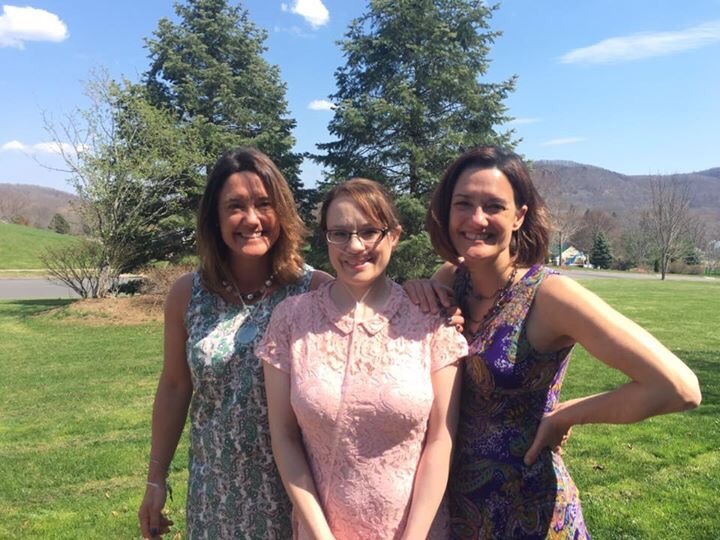 I also got to spend Easter and Mother’s Day with my family, where as in recent years I had not been able to do so. I’m hoping to be able to do a few other things this summer and at least make a few more memories to hold onto. We all know what is likely around the corner for me so all I can do is stay positive and live in each moment. Because that is all we’re guaranteed is this very moment. Hope to be back soon. Have a great rest of your season! Over the past two months, I have been recovering from a 3-week stay in the hospital for lung infections due to some pretty serious bugs which are tough to treat. I also ended up with a blood infection, and my kidneys suffered some damage from the strong antibiotics I had to take via IV. 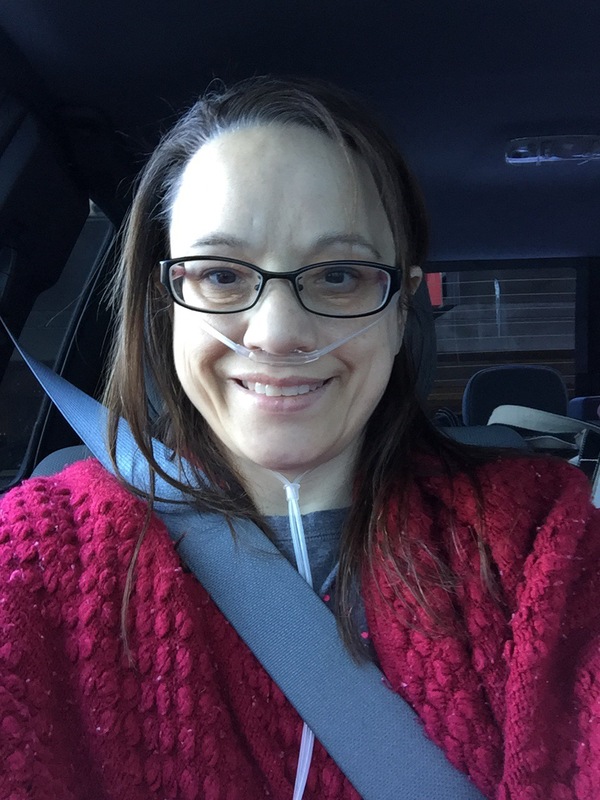 When I first came home – for the first time on home oxygen – I was not prepared for how difficult the recovery journey would take. I had lost significant muscle tone and overall physical strength. I had sapped most of my reserves of hope that I would ever be “well enough” again. I was also on 2L oxygen 24/7. It was through sheer stubborness, plenty of crying sessions, dozens of prayers for healing and courage, that mentally, I could get through this experience. Physically – well – we are not quite there yet. The good news is that I only need Oxygen for extreme exertion (such as going grocery shopping, driving, etc. ), I don’t need my husband’s help to shower, and I can now cook a few days a week. 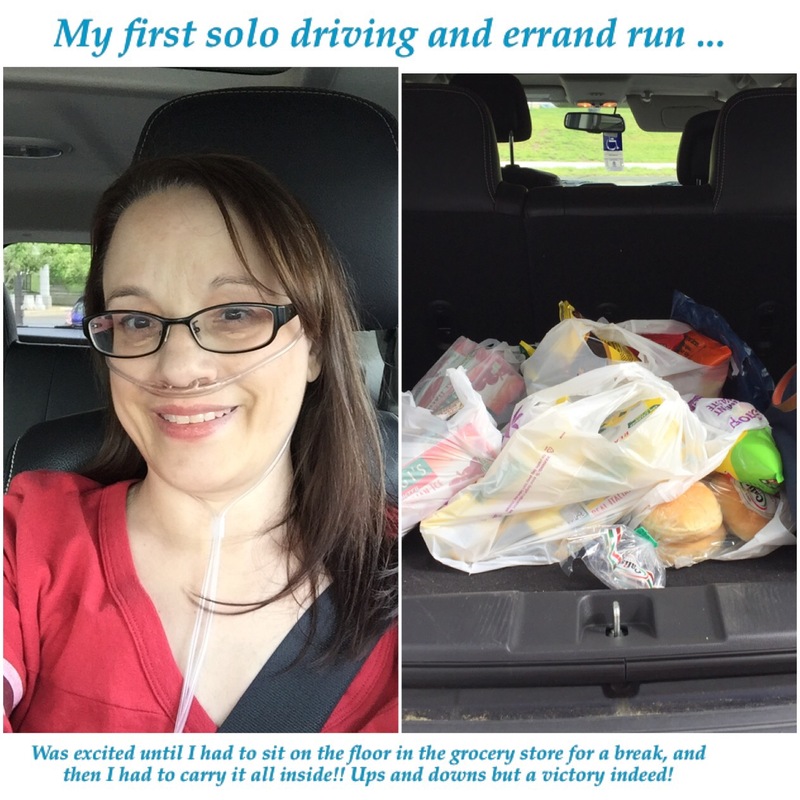 I just began driving about 2 weeks ago – my upper body strength wasn’t much to begin with, but one morning, I decided that I was going to run errands by myself. Good thing I brought along the portable O2 concentrator because I ended up having to sit on the floor at the store to rest. But I made it to the pharmacy as well, and carried in and put away all my purchases. It took 2 days to recover, but it began getting the ball rolling. I actually felt well enough to celebrate Easter and Mother’s day – holidays that fall into one of the times of year that I am sickest. 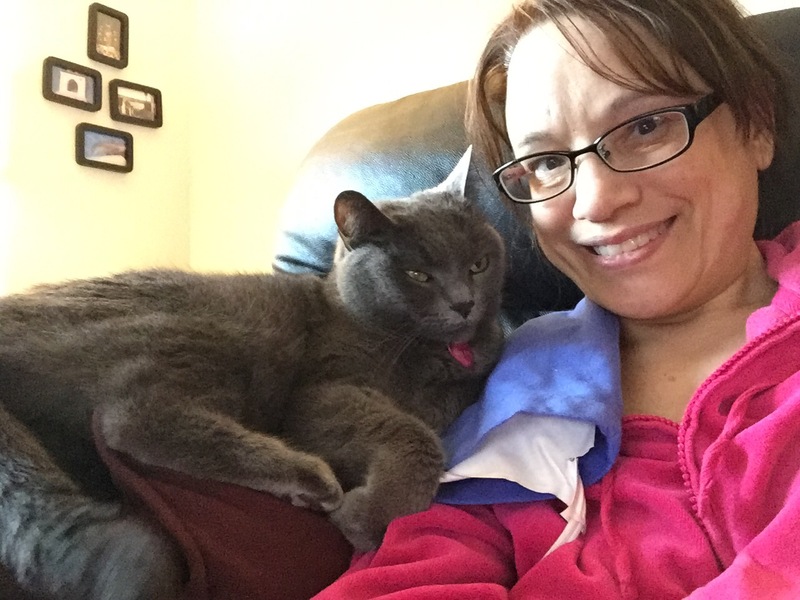 The best medicine – one of my cats! 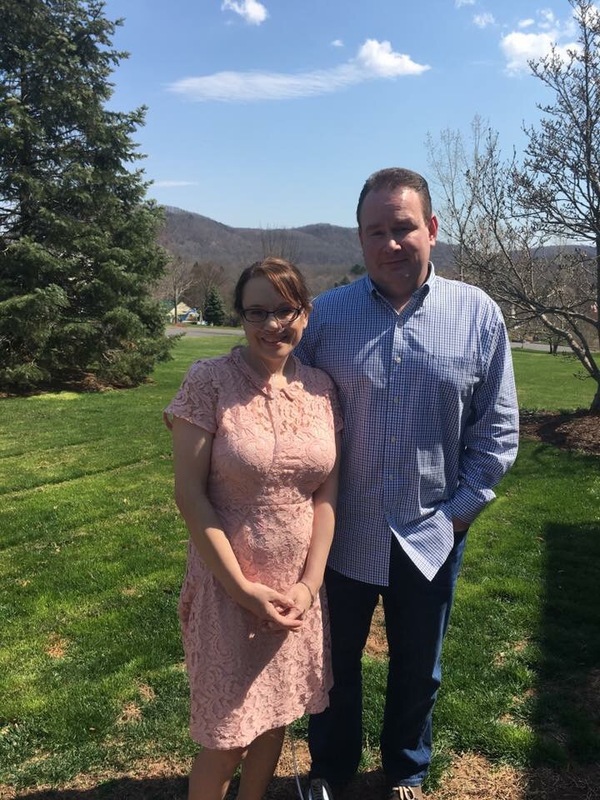 Ken and I at Easter…a rare sunshiny day! My rock! As spring turns into summer, I hope to enjoy life more, and maybe even have some energy left to enjoy friends!!!! Wouldn’t that be wonderful??? I have to say, if it weren’t for Facebook, I would not have the support and encouragement that I have. Even though I don’t much get to see friends, those who really care have made themselves known. Prayers, memes to make me laugh, cards, care packages, letters – the love behind it all empowers me to keep pushing, to keep fighting. There are so many people I want to thank, and cannot possibly type that long right now, but you know who you are. Remember that the smallest victories can make the biggest impacts! Are you curious about somethinng in particular regardig Cystic Fibrosis? Have you ever wondered what it’s like to experience a certain test or treatment? Do you have any questions about living with a chronic illness? If so, I am opening up my blog for the next week or two and will be collecting questions and trying to answer them. Please note that I am not a doctor, cannot make diagnoses, or suggest medical treatment, but I can share my personal experiences. So if there is something you want to know about me and/or Cyatic Fibrosis, please leave your question(s) in the comment section and I will do my best to answer them. I am lookong forward to hearing from you!